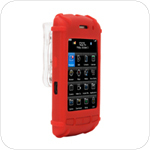 zCover Inc, the Innovative Accessory Provider has announced today the release of their gloveOne BLACKBERRY® series fashionable silicone protective cases for the BLACKBERRY BOLD and BLACKBERRY STORM smart phone. zCover leads the way in manufacturing a high quality HealthCare standard product that is always ready for the ever changing market of technology. Both "gloveOne BB90A" fits BLACKBERRY BOLD 9000 and "gloveOne BB95A" fits BLACKBERRY STORM 9500/9530 are designed with our patent filed "Dock-in-Case" solution, which allows BLACKBERRY users docking their BOLD or STORM handset in gloveOne carrying case. "gloveOne is our mature product line for smart phone and IP phone, zCover gloveOne protective cases won MacWorld Awards and extraordinary reputation among Apple iPhone, PalmOne, Treo Smart phone users and Cisco, Polycom, Nortel, Siemens and Avaya IP phones users." said Sean Sa, vice president of ZCOVER, INC. "BLACKBERRY users want their handset to be protected as their Cisco IP phone at work and their iPod at home, and be able to charge and dock their handset in carrying case." The gloveOne stylish and contoured design allows you to show off your unique personality and provides serious protection from scratching the surface of your BLACKBERRY. 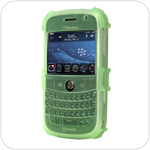 Along with being PVC-Free and LATEX-Free HealthCare standard material, shock-absorbing and tear-resistant, zCover gloveOne cases paired with zCover unique ultra-thin keypad protective skin that even allows the user to type BLACKBERRY keypad with wet fingers, will protect all around of your BLACKBERRY and have full access to the screen and ports. 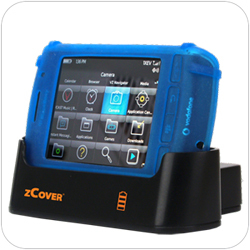 This gloveOne series also feature with zCover 100% removable rotary one-button-release cell phone belt clip, it can be BLACKBERRY stand as well.